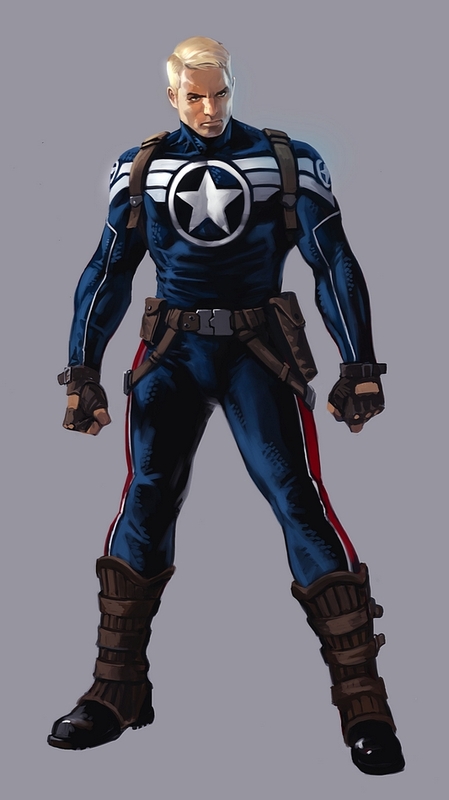 Personally, I really like the new outfit, as it makes more sense for an active SHIELD agent going on various missions than the Avengers outfit would going forward. 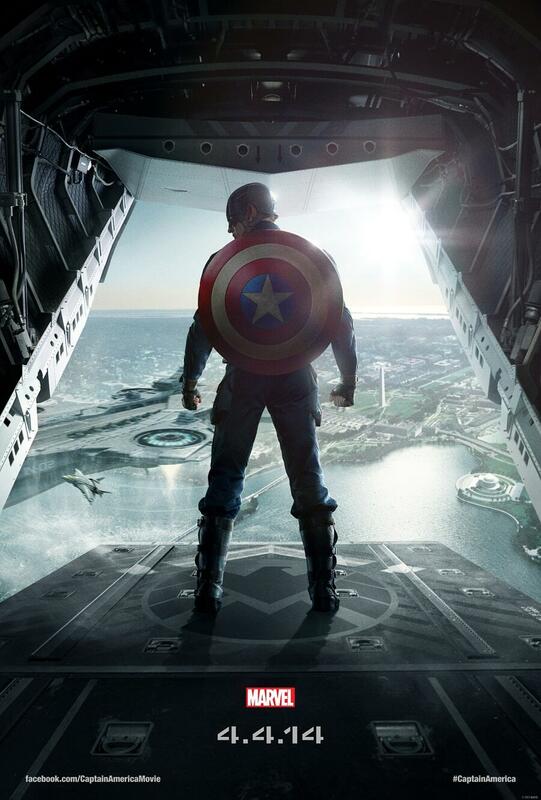 I don't mind the new costume for Captain America. But, I do hope that they use a more "colourful" version for the Avengers sequel/s. I'd prefer a little more colour in Falcon's costume. It doesn't have to be as bright and nonsensical as the comics version, but I'm not a huge fan of superhero teams/team-ups where everyone is in basic black. It might be practical and realistic, but they're meant to be superheroes - they can be a little larger than life. Falcon looks like Blade with wings. I agree they should have brighter costumes. The public has now accepted the Super Hero genre so it should be time to make it more comicy. Otter wrote: I agree they should have brighter costumes. The public has now accepted the Super Hero genre so it should be time to make it more comicy. Except that in the film, Falcon isn't a "super-hero". He's just another highly skilled SHIELD operative like Hawkeye & Widow. So in that context it makes sense to not have a "comic-book-y" outfit (although I do agree that they should add SOME red too it, as flat black all over is far too plain). 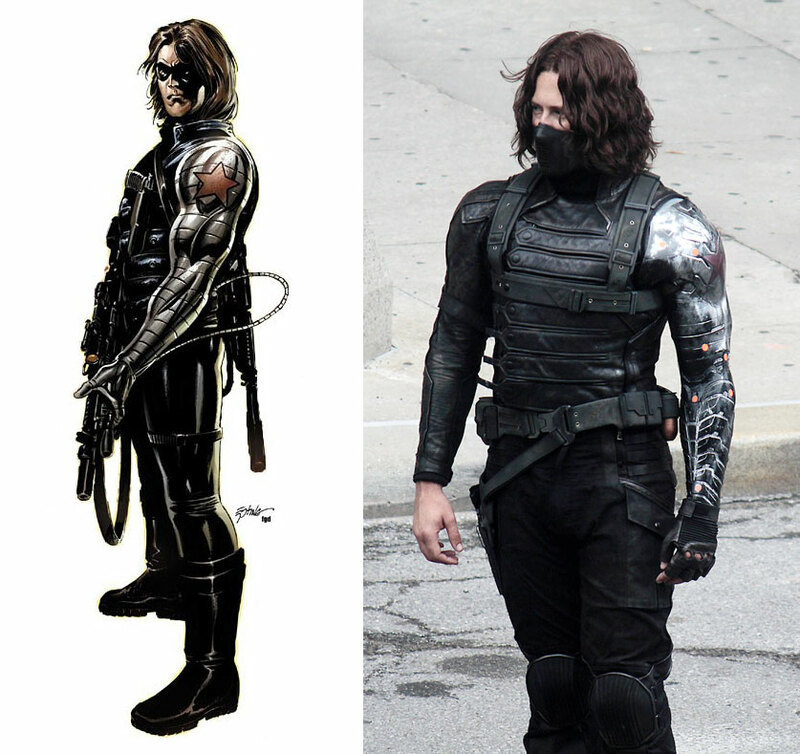 Anyway, speaking of outfits, here's the first look at The Winter Soldier from the set! A better look at The Winter Soldier! Personally, I LOVE this translation! It's spot on perfect with only one real change, and it's one for the better I feel. Meh, why the hockey mask? Reminds me of the Green Goblin II from Spider-man 3. What's wrong with the domino mask as per the comics? Pixo wrote: Meh, why the hockey mask? Reminds me of the Green Goblin II from Spider-man 3. Because (for some reason) people buy domino masks and prescription glasses as valid disguises in comics. More excited for Thor's sequel but this could be interesting. Now that is what I call a phenomenal trailer. It shows off a lot of the action, and builds intrigue, without spoiling much of the plot. I saw the film last night, and was blown away! It was everything that Iron Man Three and Thor: The Dark World were not. It ramped up the violence, intensity, drama, thrills, intrigue, and action to a new benchmark for not just all comic based/inspired film adaptations, but for movies in general to aspire to. Just got home from seeing it and was thoroughly entertained. This ranks first (for me) out of all the "Phase 2" films so far. I saw this last night too. A very different tone to the first film - very much a thriller, without the humour of the first film. ScarJo's action scenes were ok, but she spent most of the film looking puffy and spaced out. I loved the Falcon. And some good easter eggs. Seen 3 times already - once with the GF, once with my old man and the third with teammates from the BJJ club. Loved the pacing, was amazed by the action sequences and giggled like a girly fanboy when I saw Batroc, Crossbones, Baron Von Strucker and Ed Brubaker on the big screen! I read Sebastian Stan has signed on for 9 Marvel films - there's potential for some solo Winter Soldier stories, appearances in the other Marvel titles or appearing as Cap down the track. The Stephen Strange mention was nice, anyone else hear the reference to an individual in Eygpt - Marc Spector aka Moon Knight? I missed the crossbones reference, thought GSP was good as Batroc though. The Dr Of Style wrote: I missed the crossbones reference, thought GSP was good as Batroc though. Brock Rumlow\Crossbones played by Frank Grillo. I think Grillo has signed on for multiple movies\appearances so there is potential for him to wear the Crossbones mask. BTW, Grillo would make an awesome Frank Castle IMO.